On Tuesday, August 14, Donald Trump went on yet another Internet tirade. 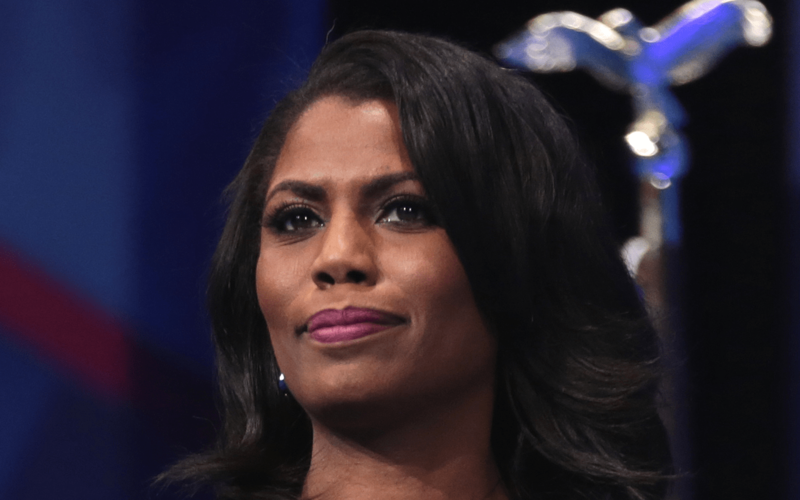 This time, he set his sights on his former adviser and friend, Omarosa Manigault Newman. This was a response to her clandestinely surveilling him during his campaign for the highest office in the land. Turns out, Manigault Newman taped conversations with Trump during and after her firing. 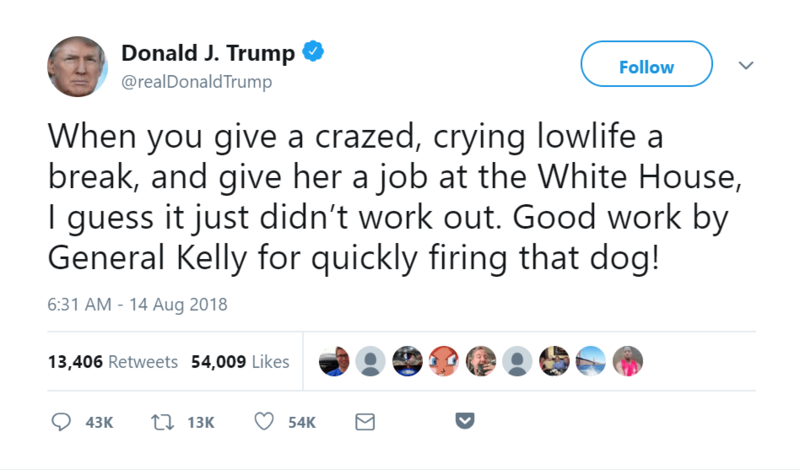 So, Trump called her a “crazed, crying lowlife” and “that dog.” On Twitter. Much of this issue stems from alleged conversations Manigault Newman has reportedly had since 2016. As she recounts in her book Unhinged, she spoke with White House campaign staffers about Trump’s use of the “N-word” throughout his career, campaign, and tenure in office. Though it probably isn’t the best book title, she has receipts. Since first releasing audio with Trump’s staffers, Manigault Newman has also released audio of Lara Trump. Lara is married to Trump’s son Eric. On the tapes, Lara can be heard offering Manigault Newman a $15,000 per month contract in return for her silence about her time as White House aide. The White House has tried to deny that Trump’s comments about Manigault Newman are racially-motivated. Others, too, have said that Trump’s frequent use of disgusting language (like calling people “dogs”) is less about race or gender. Instead, this is about a simple disagreement between ex-coworkers, they suggest. The problem is: Trump doesn’t have to try to be racist or sexist. He already is. And, his base of fans, followers, and proponents are pretty racist and sexist too. Research shows that Trump support is directly linked racism and sexism. So, when Trump calls Manigualt Newman not only a “dog” but a “crazed… lowlife”, he’s leveraging dog-whistle politics. These are coded language devices that cater specifically to his audience. And, I guarantee much of his audience shares a disdain for Black women. It goes without saying that Black women are historically mistreated, stereotyped, and erased in this country. It happens globally. Black women’s work often goes unrecognized and underappreciated. Beyond that though, darker-skinned Black women are frequently deemed less worthy of respect from their own. This is true even when they are victims of violence. I am not going to reproduce those systems which harm Black people because Omarosa isn’t perfect or light-skinned or nice or whatever the standards folx create to justify their hatred of Black women. Our participation in a system won’t make it go away. The only way to do that is to call it out, and be better.